In Episode 6 of The Bean Ninjas Podcast, Meryl Johnston, Co-founder of Bean Ninjas, reveals how she built a 100% remote workforce internationally and why it was important for her to do so. Meryl Johnston has grown an international business in just 3 years, and it includes employees and contractors located across 6 different countries. 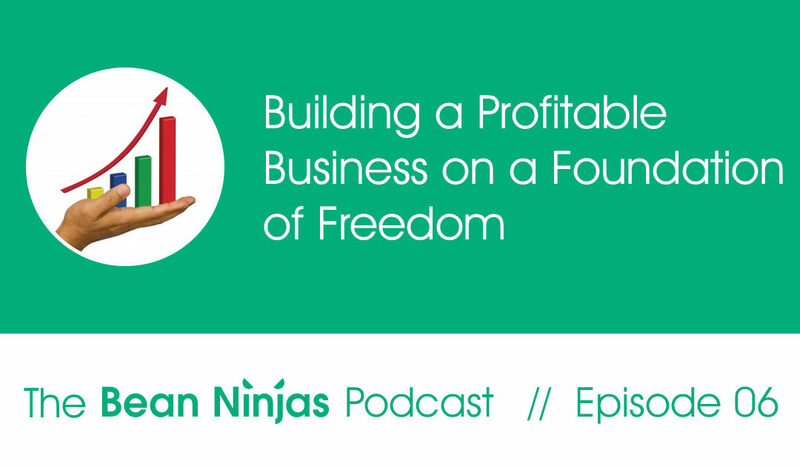 It was a key part of her initial plan when launching Bean Ninjas and it’s proven to be a profitable one as well. Bean Ninjas is a case study in how to capitalise on the remote workforce. Many companies attempt to hire and retain staff remotely but find the tyranny of distance creates too many obstacles. However, more and more modern day workers are seeking flexibility within work, exposure to international teams and quality work that the online world offers. How can you avoid the pitfalls? How do you know you who you are hiring when you’ve not met them? Can you develop a solid working relationship without working in the same location? What are effective methods to manage time zone differences and build trust? Can you mitigage against employees not carrying out the work they are required to do. There are many technologies that solve a lot of these issues, as well as having good processes and an excellent culture. Remember to listen weekly to learn more of Meryl’s extraordinary tips for growing your business fast. Startup Accounting: The Advice Nobody Else is Giving Startups About Money.